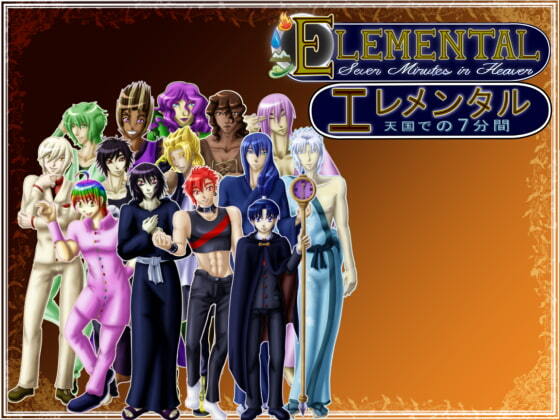 Elemental: Seven Minutes in Heaven! You are sitting at home when you receive a call from your friend. She’s excited about something, but won’t tell you anything until you come to her house. Skeptical you accept… and when you get there, you’re greeted by the sight of 14 men. According to your friend, each of these men represent a different element (i.e. Fire, Water, Wind, etc.). Her solution? Shove you in a closet with one of them because, hey, you only live once, right? 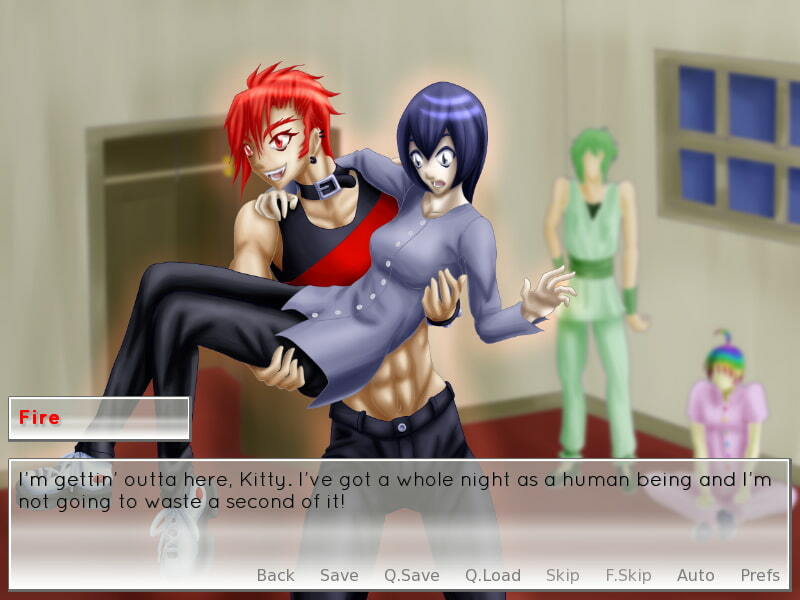 Elemental Seven Minutes in Heaven is a kinetic/visual novel with 14 routes to choose from. Have fun smooching the elements~!